Edge Sight and Sound - your events. our passion. : Are cake toppers out of style? I was looking at wedding pictures today when I noticed something strange; all the cakes pictured had no traditional cake toppers. Most cakes had either flowers, a monogram, or nothing at all at the top. 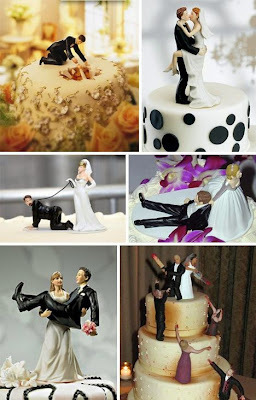 This got me thinking: are traditional wedding cake toppers out of "style"? Turns out this custom was largely dominant in the 1950s, where the topper represented the concept of togetherness, but it is now used less often. Today people use the little figurine toppers to indicate shared hobbies, passions, or just to get a good laugh from theirs guests. 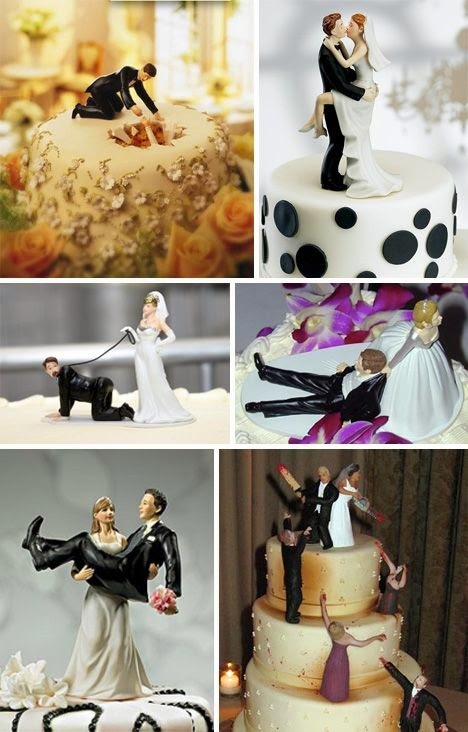 Checkout these hilarious toppers I found on Pinterest! I love the new spin to this older tradition!